C-Channel shall be Fy=50ksi material. Inspect tube make sure tube can be capped or formed back in place. If skin plate is damaged, consult factory. 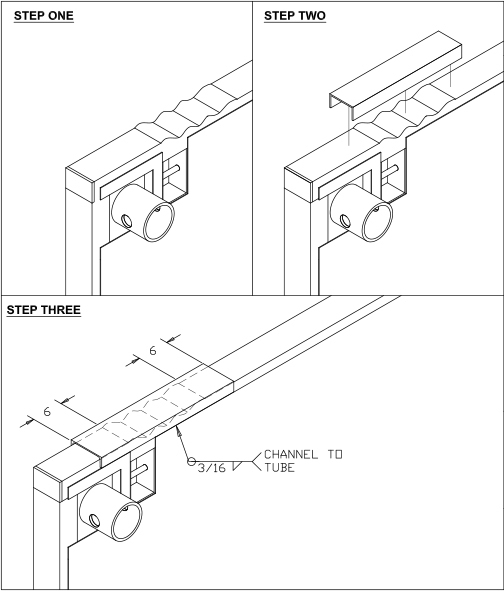 Determine length of the channel required. Overlap damaged area by a minium of six inches on each end. Weld channel to damaged tube using a continuous 3/16" fillet weld as shown.